minotaur was created in two stages. 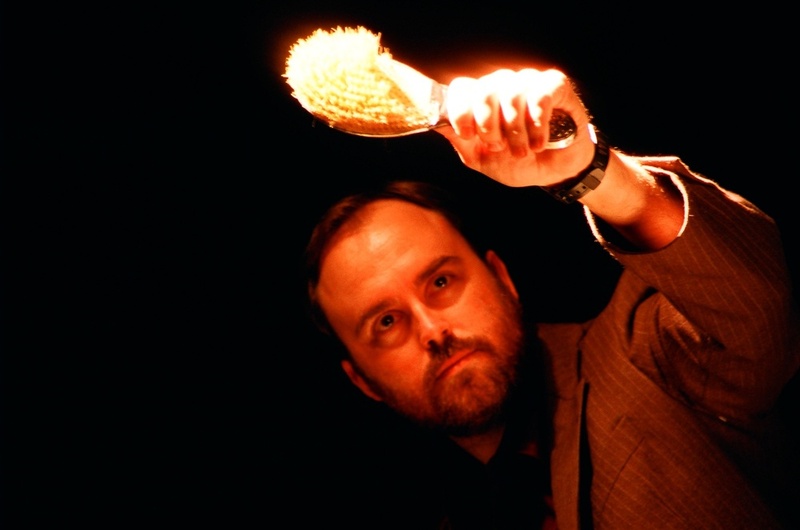 The first incarnation was performed at the Toronto Fringe Festival in 2006 and the second was performed at the Helen Gardiner Phelan Playhouse in 2008. Created by CHRISTOPHER STANTON AND ALISON MCELWAIN WITH JAMES CADE, CHRIS HANRATTY AND TRICIA LAHDE. Trisha Lahde, Chris Hanratty and James Cade. Photo by Lisa Stanton. On March 11th, 2008, various belongings pertaining to the lives of a young couple - known only as “Nora” and “Kieran” - were found in various states of decay in the basement of the property at 27 Edgedale road. Many of these artifacts describe a sub-basement shaft measuring four feet by four feet by twelve feet deep for which we can find no evidence. The whereabouts of the couple is unknown. minotaur was a part of the Department of Metasociology's Mind and Matter Lecture Series 2008 and was performed at the Helen Gardiner Phelan Playhouse in Toronto. Visit the Lecturing Professor's blog here. Chris Hanratty. Photo by Lisa Stanton. "Minotaur manages to creep under our skin and bore into our subconscious fears." - NOW Magazine. Full review here. "The basement of the home has a deep shaft in the floor descending into pitch blackness. It's not found on any architectural plans and is indiscernible at times on even the closest inspection. It's in the evocation of that dark place that our own primordial fears rise to the surface... A creepy ghost story that is unnervingly effective and very watchable." - The Toronto Star. Full review here. Bits of audio tape. Scraps of film. Torn pages of streaked and illegible journal entries. These and other strange artifacts are all that remain of Nora and Kieran - the last known occupants of an abandoned house known only as "the Underwood property." 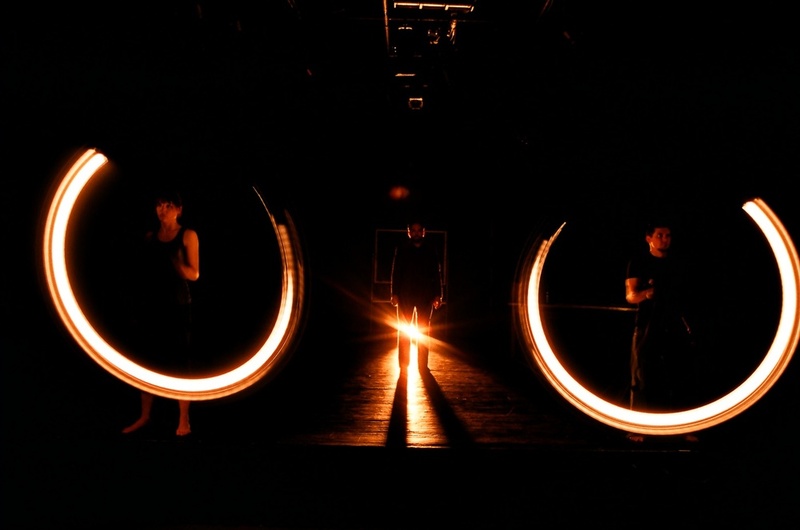 minotaur was performed at the Robert Gill Theatre in Toronto as a part of the Toronto Fringe Festival. "Part The Ring, part Amityville Horror...an enveloping, emotionally intense thriller." "Wildly inventive and clever. Features star performances from its two leads and a surprisingly insightful look at the anatomy of a couple."